After your baby is born, a doctor or nurse will perform a series of tests to determine your baby’s physical condition. A routine evaluation, called the Apgar test, is used to identify whether your baby needs urgent medical care. After delivery, your baby will also be given a vitamin K shot, eye drops and newborn screening tests. Your baby may also receive a hearing test and a hepatitis B vaccine. What Happens During an Apgar Test? During an Apgar test, your baby’s heart rate, breathing, reflex response, muscle tone and skin coloration are measured. These five signs are evaluated at one minute after birth and at five minutes after birth. Each part of the test is given a score between zero and two, and the five scores are added together to make up the Apgar score. If your baby has an Apgar score of seven or more, he or she is probably in good physical condition. A low Apgar score may indicate problems with your baby’s heart or lungs, or a result of a difficult labor. This may lead to a low score immediately after birth. Premature babies may score low because of immature development in the womb. Why Does My Baby Need a Vitamin K Shot? 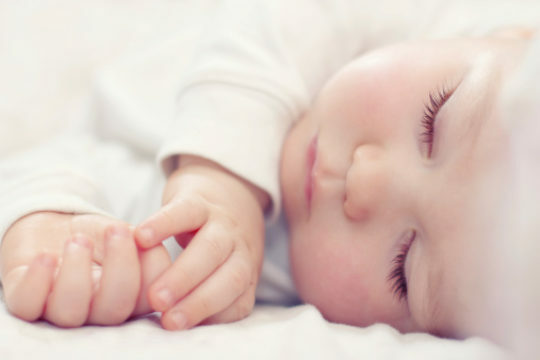 Your baby will typically have low levels of vitamin K when he or she is born. Vitamin K is needed for blood clotting, so your baby will usually receive a vitamin K shot immediately after birth. This will help prevent a rare but serious bleeding problem known as hemorrhagic disease of the newborn. Why Does My Baby Need Eye Drops? Your baby will receive antibiotic eye ointment or eye drops to prevent bacterial infections that he or she may pick up at birth. What Are Newborn Screening Tests? Phenylketonuria (PKU) – phenylalanine, a substance found in food, cannot be processed and leads to a buildup in the brain that can cause mental retardation. Galactosemia – the sugar in milk cannot be converted into sugar used for energy, causing mental retardation, blindness and death. Sickle cell anemia – an inherited blood disease that can cause damage to organs, infection and death. Congenital adrenal hyperplasia – missing hormones that can affect genital development and cause death. Hypothyroidism – brain development and growth are hampered because of a hormone deficiency. Why Does a Newborn Need a Hearing Test? Early treatment of hearing loss can prevent future speech and language problems. A small earphone or microphone will be placed in your baby’s ears to see how your baby’s brain responds to sounds. Your baby needs to be asleep for this test to be accurate. If your baby does not pass, it does not mean he or she is deaf, but the test will be repeated. Why Does a Newborn Need a Hepatitis B Vaccine? The hepatitis B vaccine protects against the hepatitis B virus, which causes liver damage. The hepatitis B vaccine is a series of three shots. Your baby will usually receive the first shot after delivery, and the next two shots by 18 months of age.